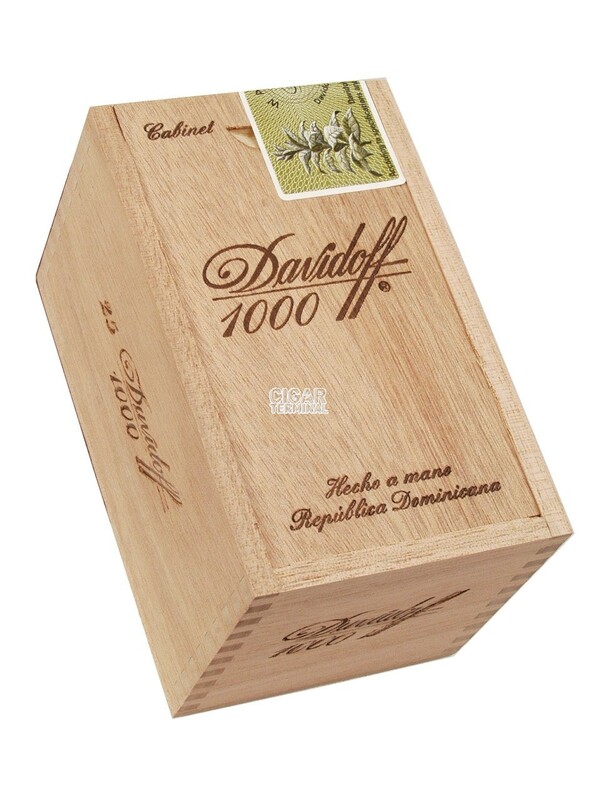 The Davidoff 1000 is a premium and complex short smoke, Petit Panetela sized, 4.6” x 34, hand rolled with Dominican blend and an Ecuador wrapper. AGED CIGAR ALERT: This is a vintage cigar from 2007 with limited availability. The shortest cigar from the Thousand Series, it is a 15 minutes smoke, that will appeal to all cigar aficionados, with rich flavor profile, expect deep flavors, smoothness and peppery zests. 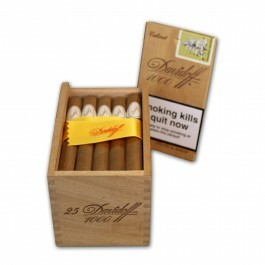 These cigars come in a wooden box of 25 cigars.